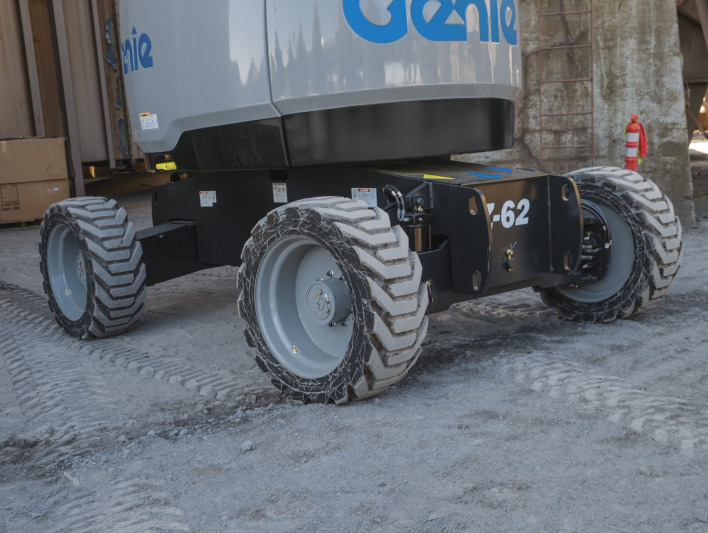 Modernized for exceptional jobsite performance, reliability and quality, this new model is an update of the Genie® Z™-60/34 articulating boom lift with significant modifications made to the key product specifications customers desire the most. The new Z-62/40 is a compact harworking unit, offering outstanding vertical and horizontal reach, manoeuvrability, working envelope and servicing. 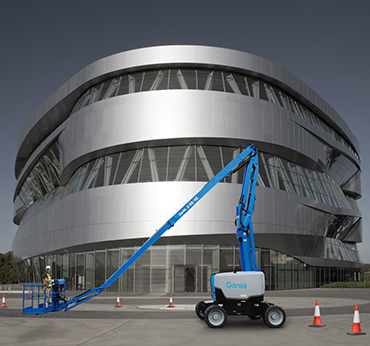 It has zero tailswing for rough terrain performance in tight spaces and the Genie Fast Mast™ system quickly gets workers from the ground to maximum height. The dual parallelogram lift linkage allows precise positioning of the platform on the jobsite for improved accuracy. The boom was designed with serviceability in mind and has enhanced access to electrical and hydraulic service points. A swing out engine tray allows for easy access to either side of the engine assembly to quickly service the starter, exhaust or filters. This helps reduce service costs and down time to maximize ROI. The Z-62/40 boom lift increases the working height from 20.87 m (67 ft 11 in) to 20.39 m (66 ft 4 in) and provides more horizontal outreach with a maximum of 12.42 m (40 ft 9 in) compared to 11.05 m (36 ft 3 in) in the previous model. It still delivers excellent up and over clearance of 8.13 m (26 ft 8 in) with a maximum lift capacity of 227 kg (500 lbs). 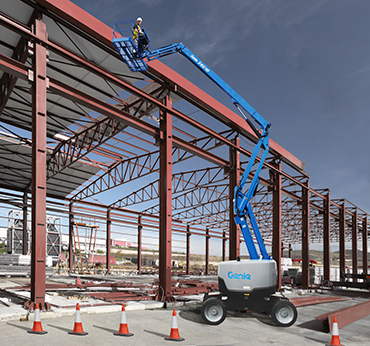 The new boom lift offers zero rear tail swing and minimal front turntable tail swing in the stowed position and has a below ground reach of up to 1.68 m (5 ft 6 in). All of these features are available on a machine that weighs only 10,886 kg (23,997 lbs) with foam-filled tyres and stows to the compact size of 7.58 m (24 ft and 10.5 in) with the jib tucked. The Genie® FastMast™ boom system allows operators to descend and retrieve materials and quickly return to working height. 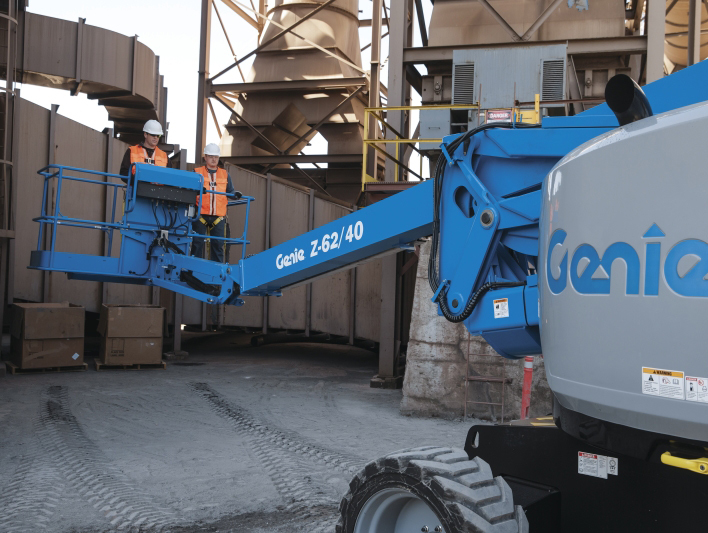 Genie has completely re-envisioned the previous model boom lift to make the new Z-62/40 boom better fit customer needs in today’s marketplace.